While many agents prioritize nurturing local leads looking to buy or sell in their immediate marketplaces, there is another source of income—referrals. A semi-automated way of obtaining business—or, better yet, profits without having to maneuver through a real estate transaction—referrals can be a fruitful venture if strategically managed. Which tools work best to build a referral pipeline? While in-person networking makes a powerful impact, agents can build an extensive network of lucrative business relationships across the globe by using LinkedIn as a base of operations for referral exchange. Create a detailed and powerful profile page. You'll want to include as much relevant information as possible. Start with a headshot that shows you mean business—this should be taken by a skilled photographer and should show off your professionalism. Next, make it clear within your profile summary that you are not only open to receiving referrals, but that you are looking to build business relationships across all markets to best serve buyers and sellers looking to relocate. Third? Really beef up your profile by showcasing your education. The more specializations and continuing educations courses you can highlight, the more comfortable other agents will be when they're looking to refer business in your direction. And if you're multilingual, don't forget to include that in the Languages section. This can really help bring in business that requires specific interpretation skills. Lastly, make the most of the Recommendations section. Ask your fellow agents and service providers—the ones you've had truly successful transactions with—to write you a glowing review. While some may not wish to participate as real estate can be an extremely competitive business, it is very likely that agents in your own brokerage, or even agents who survived a tough deal because of you, will be willing to put in a good word. Post, post and post! Get your name out there and let it be recognized as valuable and consistent. Put out educational content not only for your consumers but coaching and business development content that can help out your fellow agents. Not only will they be thankful for the resource, but they'll know to come to you when they need to outsource their business and want a competent and highly-skilled agent. Of course, you don't want to focus solely on your own content. 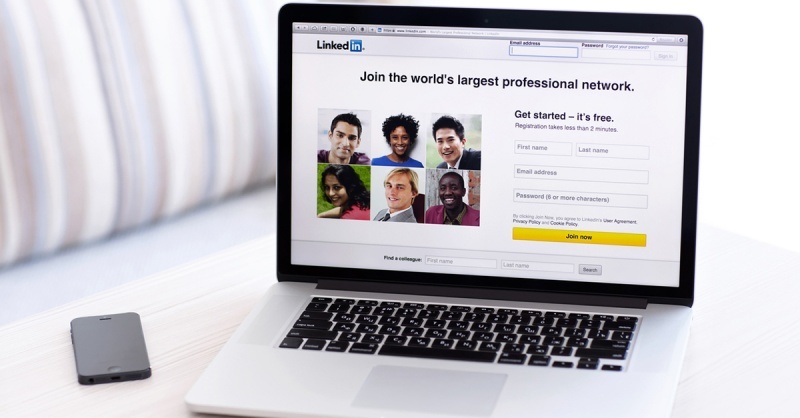 Get out into your LinkedIn sphere and participate. Share or like and comment on the content that is being posted by other agents. The more these agents see your name in their notifications, the easier they'll remember you when the time comes to refer business to your market area. And speaking of content, don't forget to follow relevant pages. This will help you in getting out valuable information and will put your name in the daily rundown of content that agents see when they log in to check the latest posts. Connect with others. You'll have to build up your pipeline of agent contacts in order to reap the rewards. Once you have a substantial number of relationships, you can slow down on the outreach. Until then, however, you'll really want to make an effort to reach out as much as possible. Here's where Premium might come in handy. Some significant figures in the industry may not be reachable unless you have a Premium account and can connect through InMail if they're not willing to outright add you as a connection. You'll have to gauge the cost and reward ratio here—perhaps a trial period will help you get started in building your contacts and will serve as a measure of success or failure. If you're not looking to spend, join relevant groups in which you can interact with agents across all levels and locations. This should be done on a consistent basis. Don't let the industry forget your name, but rather post frequently to ensure you're always top of mind. Make sure you're reachable. The most important thing to remember is that you won't get business if you're not easily accessible. Don't forget to link to your social media channels—this will let other agents experience your day-to-day postings and get a feel for your personality and business style. Also, you'll want to prominently feature your email and phone number. Some agents prefer speaking to REALTORS® over the phone if they're looking to refer out business and may skip over your profile if you only have an email listed. Lastly, link to your website and other relevant profiles that help to showcase your business acumen and transaction history. If an agent has to dig through the internet to find out how many deals you closed in the last year, you won't be receiving too many referral-related calls. Make it easy for the business to come to you. Once you've nurtured these relationships, use them as a source for your own outbound referrals. This is a give-and-take business, so the more business you can share with a specific agent, the more you are likely to receive. And LinkedIn is the perfect platform for reminding your fellow agents of the value you can provide them and clients. Liz Dominguez is RISMedia's associate content editor. Copyright© 2019 RISMedia, The Leader in Real Estate Information Systems and Real Estate News. All Rights Reserved. This material may not be republished without permission. © 2019 RISMedia. All Rights Reserved.